I live in the countryside in Duarte and i use a claro stick (banda rocha ?) to get the wifi internet. No internet cable in the village. The signal is very poor 1 on 5. The tower is far away. I also use orange same problem. How could i get a better signal ? Thanks. Seriously, if there is no cable = very bad. 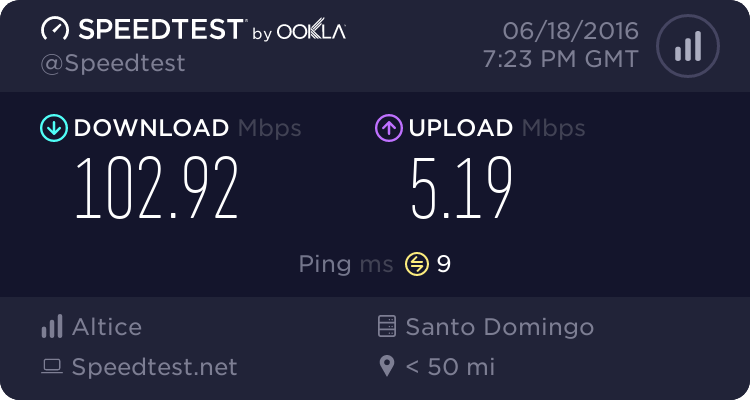 The Claro Stick is the worst medium I know in the market to get connected to the Internet... No idea how to improve that. I think there is no way. 100mb!!! You don't settle for less!